Welcome to the Empathy Partners website. We are the only true owners of the Harding & Yorke (H&Y) empathy measurement methodology and the products developed using it, both nationally and internationally. We have carefully selected and invited experienced and well reputed consultancy companies to work in partnership with us in the delivery and promotion of empathy measurement; and the improving of the customer experience - our 'Partners' in Empathy. to improve your Customers' Experiences. Our aim has always been very simple - to help you build and sustain great experiences for those who work for and with you. We are delighted to announce that our services are available through us and/or our limited number of 'Partners' - each experts in their own rights. Together we will develop products faster, be more competitive and meet your needs more fully. The illustration left, which we know as "the Hymnal", explains the goal we have for any client that employs our services - to be empathetic in what you do and to exceed in how you do it - the key to creating the 'Raving Fan'. The delivery of an in-depth analysis into and tracking of your customer's experience using our Customer Empathy Audit™ approach. 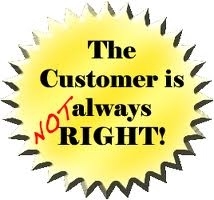 you have with your customers. We require a sample of 40 media; be it recorded calls, correspondence, emails, etc per area for analysis (though we will ask for between 80 and 120 as we may need to filter out ones that don't meet our criteria - e.g. incomplete calls. ○ Getting Though - When and how you welcome us. ○ Developing the Relationship - How you as people impact your customers. ○ Handling the Task - How your processes make us feel. ○ Promoting Yourselves – If and how you compel us to do business with you. ○ Handling Problems – How you deal with us if we have a grievance. ○ Wrapping Up - How you end the interaction. ○ Delight - How far you exceed our expectations. ○ Corporate Characteristics - How your culture draws us in or repels us. ○ Bespoke Questions – How far you deliver against your brand values and service initiatives. After analysis a bespoke presentation is produced and delivered back to you including the results of the questionnaires, your empathy rating, soundbites to illustrate trends, and insights into behaviours and areas for change/improvement. You can then also look at working with one of our expert partners into developing a solutions or training programme. EPIC – the Empathy Partners Industry Comparison. Under Harding & Yorke this product was known as ERIC (the Empathy Rating Index Company) and was a subscription programme that gave its members insights into what it feels like to be not only their own customer, but also their competitors’. It also provides cross-industry benchmarking data and current best practices so that an organisation can continually improve the customer experience it delivers. The insight into the customer experience is provided though the publication of individual industry benchmark reports. The on-line reporting structure means that you can access not only the overall industry figures, but also reports on each company in turn. As the format is common across all reports it also enables cross industry benchmarking in both the sales and service environments. Typical functions included within these syndicates include: Sales; Service; Billing; Complaints; Help Desks and Claims. The individual company reports include the EPIC rating – the actual empathy measure together with an insight as to how you perform across a set of common values; a Process rating; their overall Balanced Emotional Scorecard score and verbatim comments taken directly from our own researchers and customers. In practice this means that you can not only gauge how effectively your own operation is at engaging with your customers at an emotional level, but also how good your competitors are. On commission, the ERIC team compliments the core findings with soundbites demonstrating both trends and better practice. This makes the data come alive in a very memorable way. The recognition and development of cross-industry ‘better’ practice can easily be achieved through a self-administering programme of activities that might include such things as non-competitive Study Tours. Access to ERIC findings is online however most clients include a physical presentation and soundbites for at least their initial set of data. Thereafter we can train internal teams to analyse and present the data. The EPIC questionnaire doesn't have the same level of detail as the Empathy audit and was designed as a syndicated comparison service; though we have used it successfully as a more compact and cheaper empathy measure. It has been used to measure different call centres against each other, and to help develop emapthy based training programmes, as well as it's main role - an Empathy Benchmark. The EPIC questionnaire is a set format so has less ability for bespokement and any secondary analysis is an additional cost, as is a presentation. EPIC generally delivers its results via an online portal and pdf reporting. looking to increase the number of 'Partners' we have. To meet and appraise 'Our Partners' please hover on the Our Partners tab and discover their particular expertise. This video was produced for Harding & yorke and a lot of it is relevant to Empathy Partners so please give it a view. We would like to welcome the New Empathy Lobbyist - Martin Jukes Our friend Martin at Mpathy Plus has kindly taken on the role of Empathy Lobbyist, carrying on the work of Jamie in promoting business empathy. Please see below Martin's first postings and a link to his blog. Thank you Martin and good luck. Sarah and Phil.